There is something profoundly beautiful about women coming together with the intent to support and empower one another. 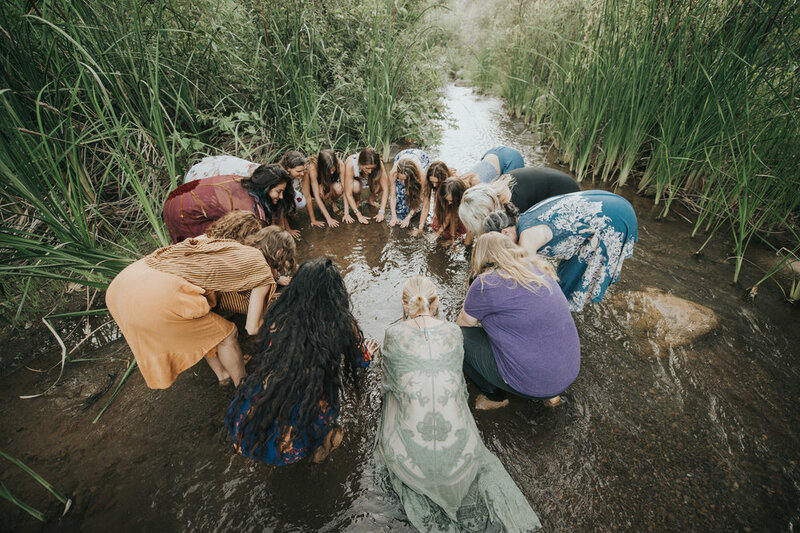 A Sister Circle is a sacred gathering of women connecting, sharing and celebrating life. It is a space to experience and embrace the nurturing energy of the feminine that resides within each and every one of us. It is a place to give and receive love and nurturing, and to share wisdom through our stories. When women gather in Circle we heal ourselves and it allows one another to do the same. We are drawn to this because deep in our soul we know that it feels so right to support, and be supported by a community of women. When we heal ourselves and reconnect to our deep feminine intuition and awaken our feminine power – we bring a new consciousness to our families and our communities. When our families and communities become more conscious and aware, we have the ability to change the world. The world is aching for Circle… for the connection, depth and authenticity it provides. The Circle creates transformation and empowerment by allowing us the time and the space to tune into our deep and wise inner knowing. Many of us are feeling the call to step into our purpose, to contribute our individual part to the collective healing on the planet. And we are being called to do this collaboratively, to rise up as a collective, to unite together as one. Flower Essences beautifully complement and support the powerful and transformative work that takes place during the Circle. The essences work to bring awareness to our conscious minds any out-dated patterns and old wounds that are preventing us from moving forwards in our lives, which can be shared and processed during the Circle. Jo offers us a chance to step out of our heads and into our hearts. She creates a space of such beauty and softness, it is a privilege to be invited into her world of creation and ritual. A Sister Circle ceremony to celebrate the turning of the wheel. A two hour online Sister Circle enabling us to connect and share wisdom. Five weeks of love, support, connection, healing and transformation.